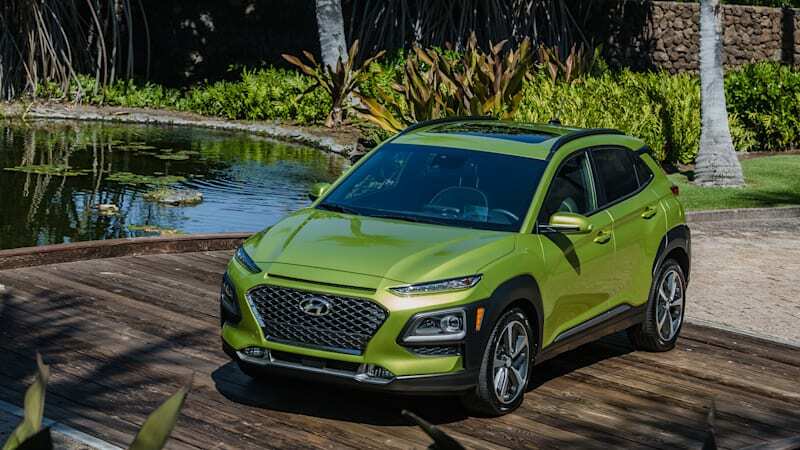 We’ve learned that Hyundai’s engineers are working on a high-performance N version of the Hyundai Kona subcompact crossover SUV. And while people might cringe at the idea of putting effort into making a crossover sporty, we’re not opposed to the idea. It worked pretty well in the case of the Nissan Juke Nismo RS, and now that it’s gone, really the only sporty little crossover left is the Mini Countryman S and John Cooper Works. And if we’re stuck in a crossover world, why not have ones that are really fun? And with all this in mind, we were pondering what other little crossovers would be good for receiving the performance treatment. So we’ve come up with a list of hypothetical sporty cute utes in no particular order, along with how feasible/likely they are. Most of them are pretty unlikely, but we can dream, can’t we? First on our list is a tiny crossover that, we must confess, isn’t our favorite. But a big reason for that is a lack of power, and slightly disconcerting high-speed handling, despite the very good steering and response. Those chief complaints could be fixed with an extra dose of power and some revamped suspension, plus a requisite ST badge. We suspect it might not be too difficult to add the power, either, since the current EcoSport is based on the outgoing Fiesta, which already has a U.S. approved ST version with a nearly 200-horsepower turbocharged 1.6-liter four-cylinder. The result could be a Fiesta ST with more cargo space and a more popular body style, potentially without too much development cost. Ford has even shown a willingness to create ST crossovers with the soon-to-be-released Edge ST. Sounds like the kind of product a less car-friendly Ford could be really interested in. This is perhaps the most unlikely hypothetical performance crossover on our list, simply because performance iterations of current cars just aren’t a priority for Mazda right now. However, we can’t help but imagine how spectacular this already great-handling and gorgeous-looking little crossover with some help from vitamin horsepower, especially that lovely 250-horsepower turbocharged 2.5-liter four-cylinder from the CX-9 and Mazda6. The only reason we bring that up is because we know that it does technically fit in the little CX-3, though it would require some modifications to frame rails to make it production-ready. But like we said, with how long it took for Mazda to put the turbo engine in the Mazda6, a car that didn’t need much modification to accept the engine, this is seriously a long shot. We should probably just focus on pushing Mazda to finally do a turbo Mazda3 (yes, I’m talking to you, Mazda engineers and product planners). The first cars you probably think of when bringing up turbo engines, all-wheel drive and manual transmissions are the Subaru WRX and WRX STI. And that’s perfectly apt, but they aren’t the only ones. Jeep has a car that fits the very same description: the Renegade. Amazingly, the company offers manual and all-wheel-drive together on the little crossover, and they’re coupled to a version of the same turbo 1.4-liter four-cylinder found in the Fiat 500 Abarth and the 124 Spider. In its stock form, it’s no WRX fighter, what with having nearly 100 fewer horses under the hood, but we imagine that the folks at the SRT division of FCA could find a way to extract many more ponies from the tiny four-cylinder. Add a bigger intercooler, bigger turbo, bigger injectors, and some expert tuning, we could see an awesome little Trackhawk. A Trackchick, maybe? Maybe not. But the idea sounds great, especially if it was still connected to the all-wheel-drive system. We’ll cap off this list with a something a little more funky. The Toyota C-HR has polarized us in the office in regard to its styling, but that also makes it distinctive and memorable in the crowded compact crossover class. But under the controversial skin is a surprisingly adept chassis that returns fairly flat cornering and enjoyable steering. Like most of these little crossovers, all it needs is a bit more power. Toyota doesn’t really have any fun turbo engines in this segment, but the 168-horsepower four cylinder and six-speed manual from the Corolla hatchback could be a good start. Maybe with a little tweaking, Toyota could crank it up to around 180 horsepower. It should be a pretty easy fit, too, since the new Corolla hatchback is on the same TNGA platform as the C-HR. Coupled with the many standard features of the regular C-HR, a sportier version could have a good value argument in addition to being fairly fun.